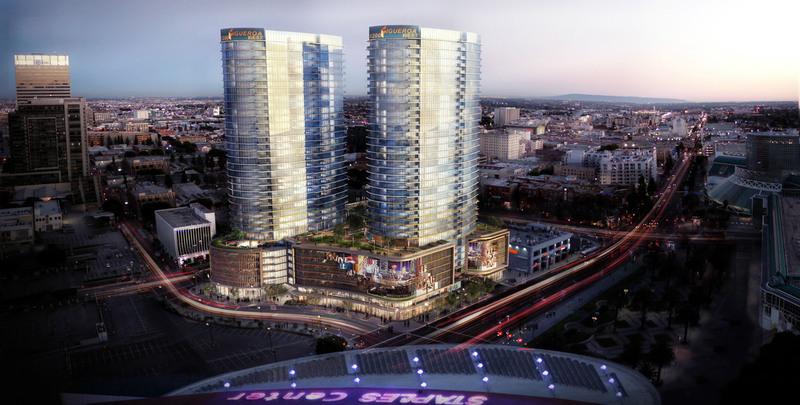 Located across from Staples Center in Los Angeles, Circa consists of two 35-story, elliptical residential towers over an eight-story retail/parking podium, with two additional subterranean parking levels. The total height is 420’ for each tower. 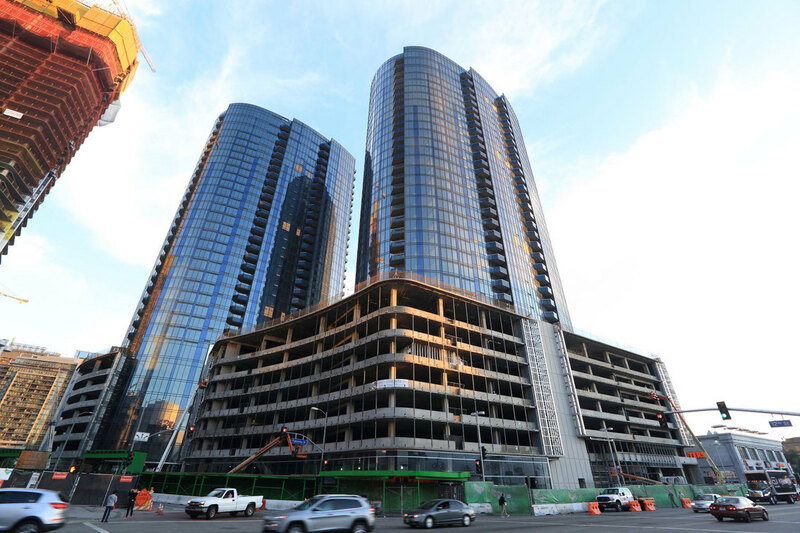 The residential towers feature 648 luxury condominiums. 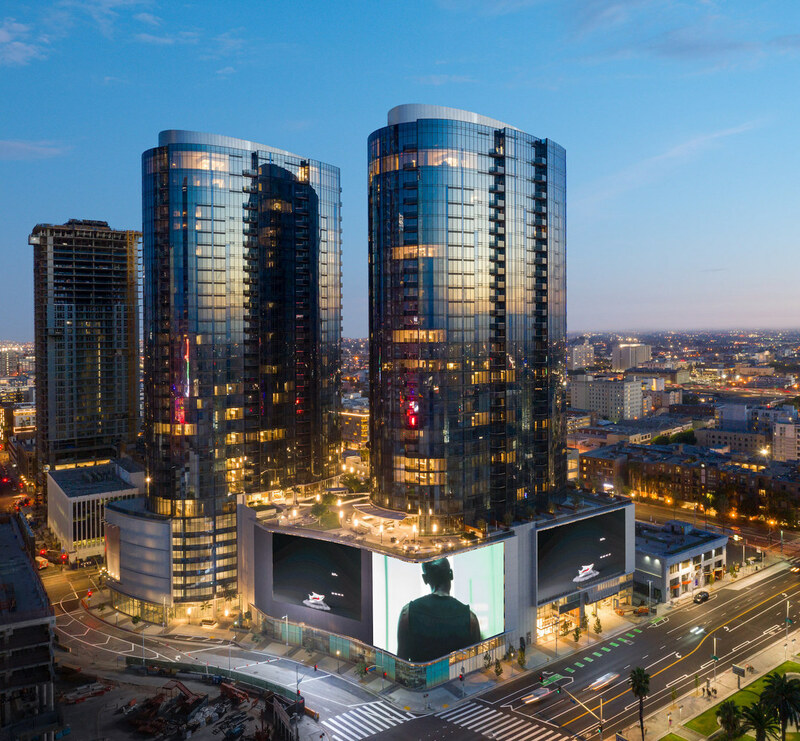 The podium, which connects the two towers, is decorated with large-scale electronic displays and integrated facade lighting to illuminate the urban landscape. 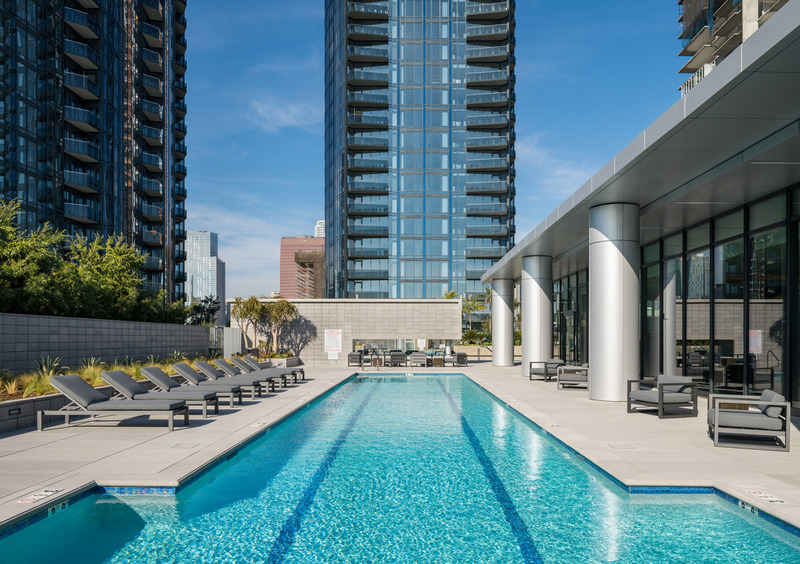 The project includes an amenity level with a large deck, pools and gym. 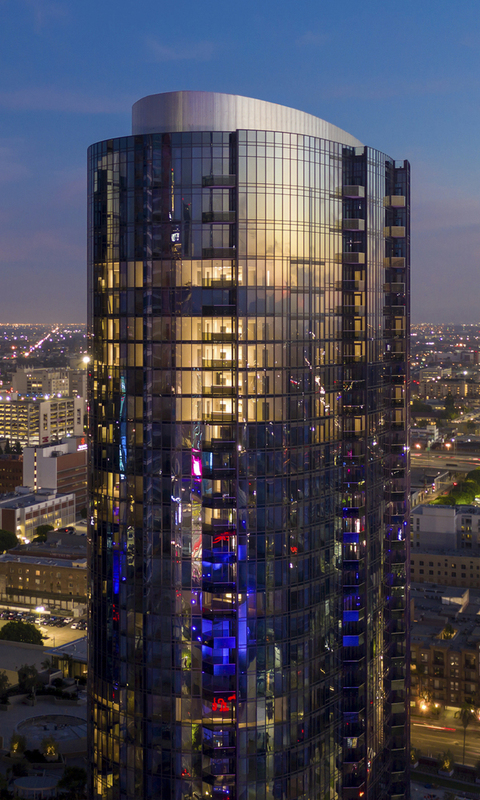 Circa is an outstanding blend of state-of-the-art engineering and attractive architecture. 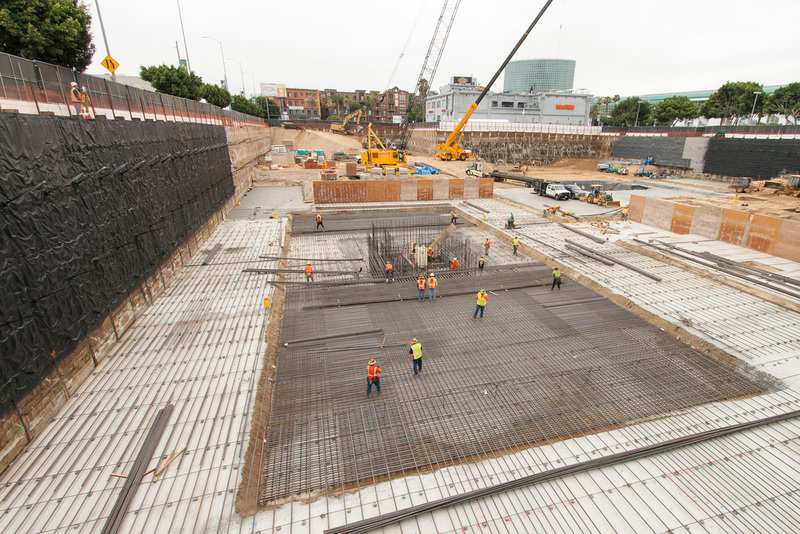 A key project objective was to move through design and into construction quickly. 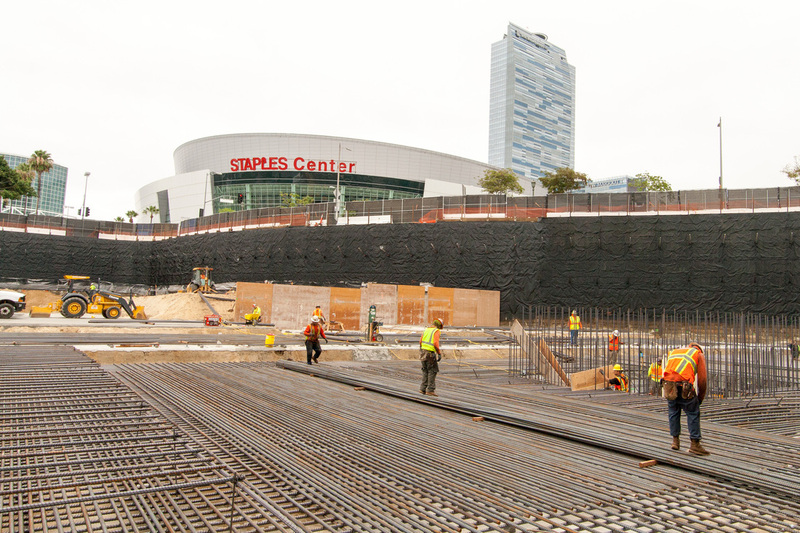 CKC developed a unique seismic system that streamlined permitting; the Los Angeles Department of Building and Safety completed its review of foundations, substructure, and structural core just ten months after CKC started work. 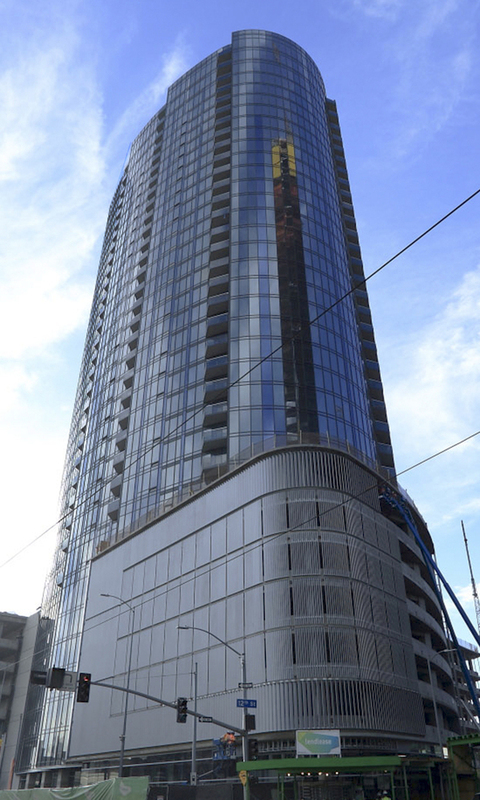 Construction started in the spring of 2015 and is expected to finish in 2018. The structure is constructed of cast-in-place concrete with post-tensioned floor slabs to minimize internal columns for maximum openness. 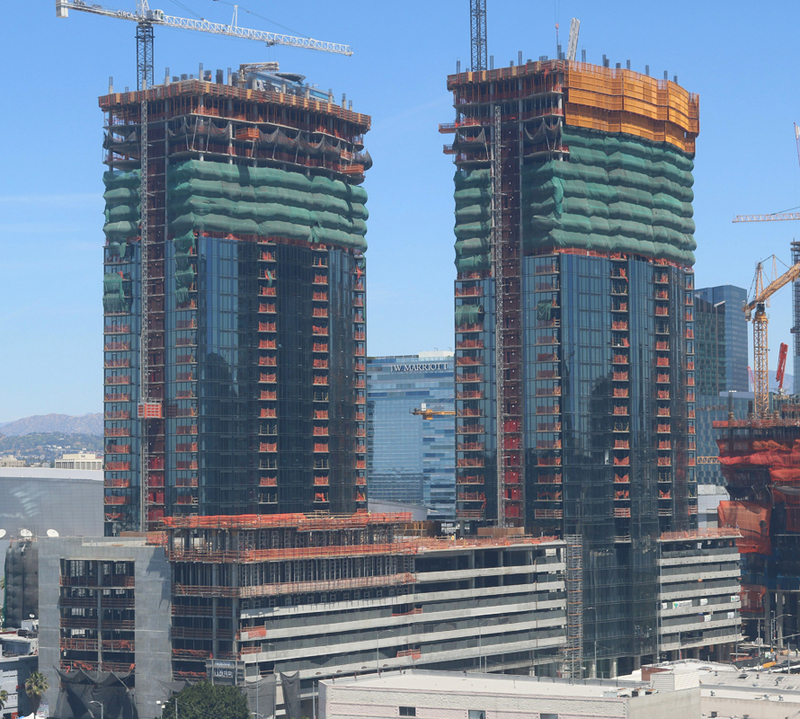 A combination of shear walls and ductile frames resist seismic loads. 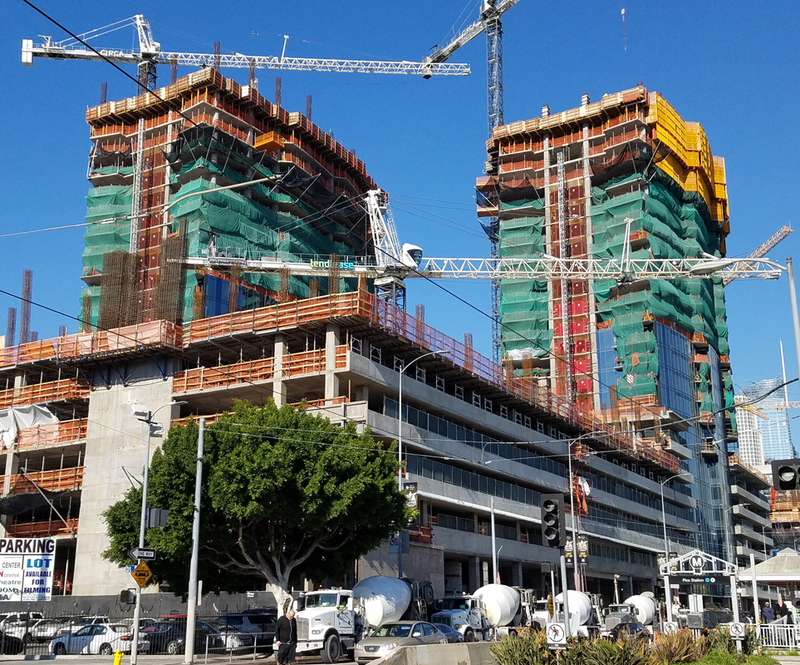 The use of a two-way post-tensioned slab system allows for continuity of framing between the retail/parking podium and the residential levels above, eliminating the need for transfer beams.